Amber, what a great way to make a really different background! 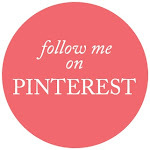 Love the image from Pink Petticoat too. Great card for the challenge! Love that punch and your card is gorgeous. That stamp is fantastic as well! Where did you get it? Amber, how simple and clever with the border punch! !makes for a great background! !..beautiful card!! 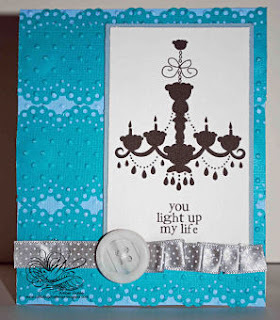 Not only is the way you used the border punch fabulous...but I am in LOVE with that Chandelier and sentiment you used! Great job with the challenge this week! That is just so dang smart! I love how you used the border punches and your card is so fresh! I see what you meant by the chandelier, I love this card! handmade paper frills so cute and clever!! Amber, I love the way you created your background with the punches and the Cuttlebug! And WOW, how cute is that digi stamp! I LOVE CHANDELIERS SO MUCH!! Beautiful card, girl! Great job, I like how you created your own designer paper! I love this! The colors and the background are awesome, great technique! Those digital images are so cute and I love the wording on this also! Great card! I love the that backing paper you designed with your puncher :) Cute sentiment! Beautiful take Amber on this weeks challenge love what you did with that punch. Ok, Amber......now this is just flippin' genius! I adore this card! !